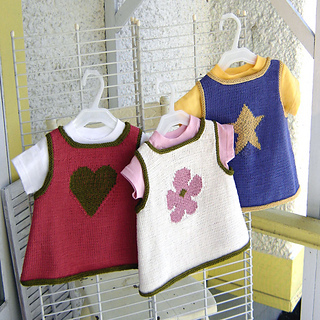 A maddy baby knitting pattern for three sweet baby tops. 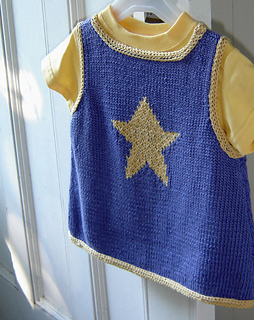 A simple intarsia motif decorates each one with a star, a flower, or a heart for the one who has stolen yours. 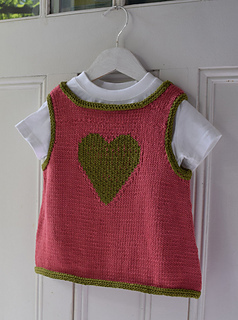 This pattern makes an easy-fitting topper to layer over a t-shirt or leggings. With shaped armholes and a generous neck opening, it is an easy garment to slip on and off. I-cord edging makes for a neat finish on the armhole, neck, and lower edges. 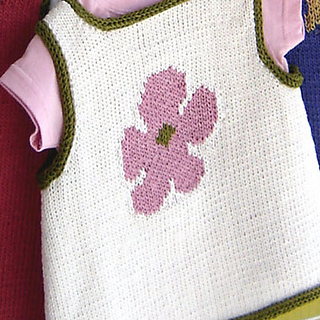 The knitting pattern, written in both US and metric measurements, includes color charts for each motif and a schematic drawing.